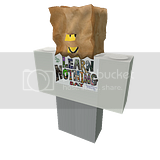 Learn Nothing Day was an exercise, a goof, "a happening" (in 60's terms), a game, a tool, a shared experience. There was no such thing as real failure and no one really expected any "success" (lack of learning). It was an international demonstration of the idea that when people enjoy and focus on learning, it cannot help but happen. I will continue to collect commentary and images at sandradodd.com/learnnothingday. If any of your friends or relatives express doubt that people will learn naturally, or if they ask you if you ever take a break from unschooling, that might be a good place to send them. Animal: Mark, at greenraven.blogspot Mineral: Flo Gascon and Camille Lavallee at sumbthucker.blogspot Vegetable: Anza Firetail at deviantart Video: MD and Alex Polikowsky at YouTube Eleven judges, finally, pinpointed the four winning images. I would've gone with fewer judges, but there kept being ties. I wanted more than one vote's difference, so I recruited more judges. Thank you entrants and judges and viewers! For writing on lists and for blog posts and links and photos of get-togethers and of cars with windows painted, thank you! I've tried to link back to everyone. If I've missed any, please let me know. You've helped me create an electronic monument to learning. Some of the follow-up writings are here: Review of the first Learn Nothing Day.